First announced on 11 August 2016, the Jurong West Bus Package is one of fourteen bus packages to be released by the Land Transport Authority (LTA) as part of the transition to the Bus Contracting Model (BCM). 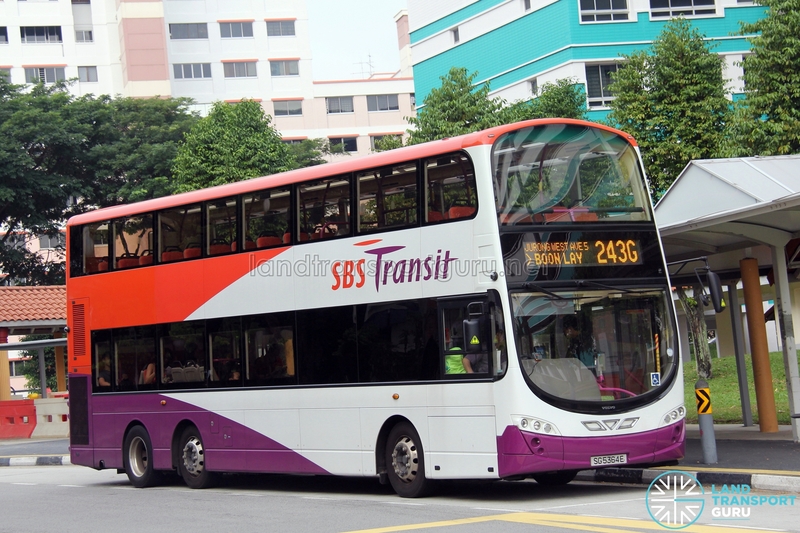 Currently, SBS Transit operates all bus services in this package under a Negotiated Contract (NC) model until Year 2024. This package comprises 25 existing bus services mainly originating from Boon Lay Bus Interchange, Joo Koon Bus Interchange, Tuas Bus Terminal and Soon Lee Depot. All bus operations would likely be based out of Soon Lee Depot, located along Soon Lee Road and within the Jurong Industrial Estate. Soon Lee Bus Depot was leased to the LTA in 2016 under the Bus Contracting Model. Bus Service 256 was removed from the Jurong West Bus Package in June 2017 following the withdrawal of the bus service. Jurong West Bus Package contains 25 existing bus services, all of which are currently operated by SBS Transit. Bus Services 243G & 243W are counted as 1 Service (243). 2016 (11 Aug): Jurong West Bus Package mentioned as one of 11 Negotiated Contract (NC) Packages, and operated by SBS Transit. 2017 (18 Jun): Bus Service 256 removed from the Jurong West Bus Package following the withdrawal of the bus service.